Safety changes are being made at a busy junction in Peterborough - and it is hoped the works will encourage more people to leave the car behind. A number of accidents have been recorded at the double mini-roundabout junction on Whittlesey Road, with turnings onto busy Fletton High Street and South Street in Stanground. There are currently two zebra crossings - one at either side of the two roundabouts - but in the summer two more crossings will be installed, one on Fletton High Street and one on South Street. The work is being carried out as part of the ‘Safer to Schools’ project. The news was welcomed by Cllr Christian Hogg, who represents the Fletton and Stanground ward. 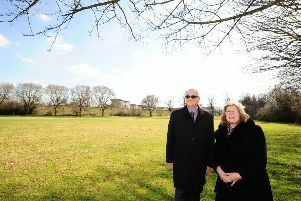 Cllr Hogg said he had been told the works would begin during the school summer holidays. He said: “I welcome the news that the upgrade to this junction is happening, the addition of new pedestrian crossings is especially good and can only mean a safer environment for pedestrians and cyclists at what is a busy junction. Along with the new crossings, a Peterborough City Council spokesman said pavements and footpaths would be widened between Fletton Cemetery on Whittlesey Road - a short walk from the junctions - and South Street.